The Month of May opens with the excitement of the INDYCAR Grand Prix, as the stars of the NTT IndyCar Series take on the challenge of becoming the king of the IMS road course. This family-friendly event includes driver autograph sessions and the chance to walk on the legendary Yard of Bricks during the post-race track invasion! Bronze Badge holders must enter and present their Bronze Badge at the South Pit Gate or Victory Podium. Grid Walk exits will also be located through the South Pit Gate and Victory Podium. The roar of engines returns to the Indianapolis Motor Speedway as drivers of the NTT IndyCar Series prepare for the 103rd Running of the Indianapolis 500 presented by Gainbridge. Enjoy the sights and sounds of May at the Brickyard while seeing your favorite drivers push their cars to the limit at speeds over 220 mph. Practice for the 103rd Running of the Indianapolis 500 presented by Gainbridge gets a boost as teams receive more horsepower prior to Crown Royal Armed Forces Qualifying. Drivers will reach 230 mph and faster during “Fast Friday” practice, the highest lap speeds of the 2019 NTT IndyCar Series season. Saturday, May 18 will be intense with competitors battling for one of the 30 locked-in starting positions and a berth in the Fast Nine Shootout the following day. Each entry is guaranteed one attempt and multiple four-lap runs may be made as time permits. Cars in positions 10 through 30 at the end of first-day qualifying on May 18 are locked into those starting spots for the race and will not re-qualify the next day. Order based on draw, top 30 locked in field at end of day. Sunday, May 19 will feature two highly competitive battles – for the last three starting positions in the field of 33 and the pole-deciding Fast Nine Shootout to determine the starting order of the first three rows. Sunday’s action will be capped by a practice of nearly three hours that should serve as a preview of the Indianapolis 500. Cars will be trimmed in race setup and running in groups. Order based on original draw, one attempt per car. Order based on Saturday times, slowest to fastest, one attempt per car. Exciting action resembling the 200-lap race will unfold on track during an open practice for all qualified drivers. Expect heavy traffic and plenty of drafting and passing at race pace since this practice will be the longest post-qualifying on-track session for the Indianapolis 500 presented by Gainbridge field before Race Day. It’s racing. It’s rock and roll. It’s the ultimate turbo boost into the greatest weekend in racing. It’s Miller Lite Carb Day, Friday, May 24! This high-powered party features the final practice for the 103rd Indianapolis 500, the Freedom 100, the Indy 500 Pit Stop Competition and the Miller Lite Carb Day Concert headlined by one of the biggest-selling bands in history, Foreigner, along with chart-topping funk, R&B, pop group Kool & the Gang, all for one great price. Join all your friends on one of the best days of the year at the Indianapolis Motor Speedway! The Miller Lite Carb Day Concert will turbo-charge Indy 500 weekend once again, with legendary rock band Foreigner headlining the show on Friday, May 24. Kool & the Gang will open the concert following final practice for the 103rd Indianapolis 500, the Freedom 100 and the Indy 500 Pit Stop Competition – all available for one great price! The day before 33 drivers race 500 miles for glory at the Indianapolis Motor Speedway, Legends Day presented by Firestone honors the immortal names and machines of more than a century of the Indianapolis 500 on Saturday, May 25. This special day in the Month of May features autograph sessions with current and past drivers, historic car laps and multi-platinum, Grammy Award-winning Zac Brown Band headlining the Firestone Legends Day Concert. Multi-platinum, Grammy Award-winning Zac Brown Band will headline the Firestone Legends Day Concert on Saturday, May 25 at IMS, one day before the 103rd Indianapolis 500. The perfect party is waiting for you! The 2019 Snake Pit presented by Coors Light will feature a lineup of global electronic music superstars performing with Skrillex, Alesso, Illenium and Chris Lake headlining the Race Day concert at IMS. The speed. The excitement. The pageantry. The tradition. 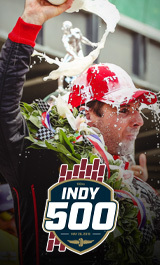 The Indianapolis 500 – there’s nothing else quite like it. Get set for more magic moments and memories at "The Greatest Spectacle in Racing." Is it May yet? The ultimate party in motorsports – the Snake Pit presented by Coors Light – is back on Indianapolis 500 Race Day as the launching pad for a sizzling summer. You don’t want to miss this festival of fun, friends and some of the greatest live EDM acts on Earth. The perfect party is waiting for you! The 2019 Snake Pit presented by Coors Light will feature a lineup of global electronic music superstars performing with Skrillex, Alesso, Illenium and Chris Lake headlining the Race Day concert Sunday, May 26 at the Indianapolis Motor Speedway. 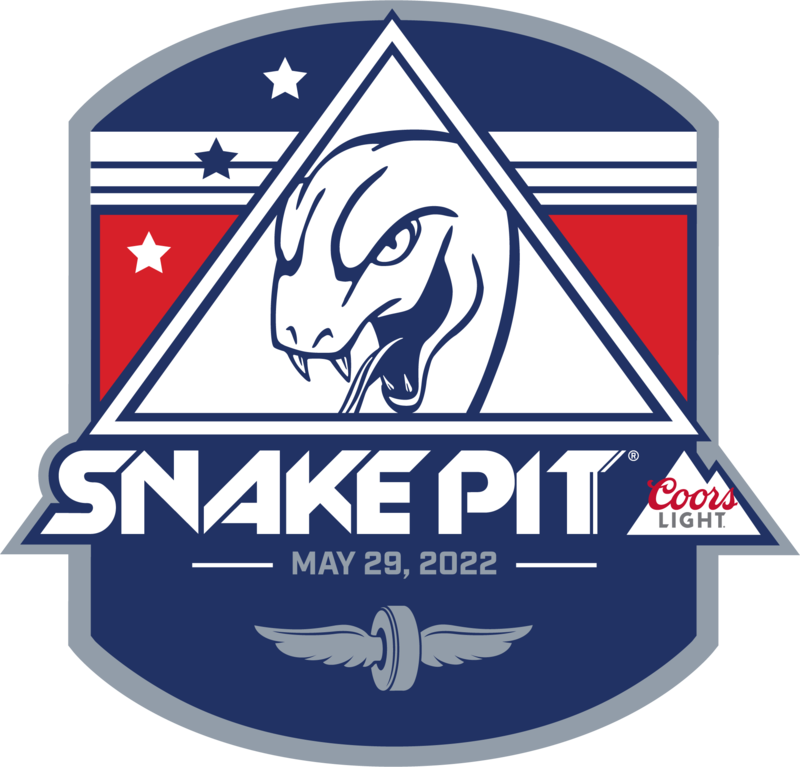 The ultimate party in motorsports – the Snake Pit presented by Coors Light – is back on Indianapolis 500 Race Day as the launching pad for a sizzling summer. You don’t want to miss this festival of fun, friends and some of the greatest live EDM acts on Earth. The perfect party is waiting for you!